My helper had made this rice for our lunch. It tasted like fried rice but with some difference. I was pretty sure it had ghee but not just that.. So I asked her what else is there but before even she asked I found out the taste yeah it is tomaotes. 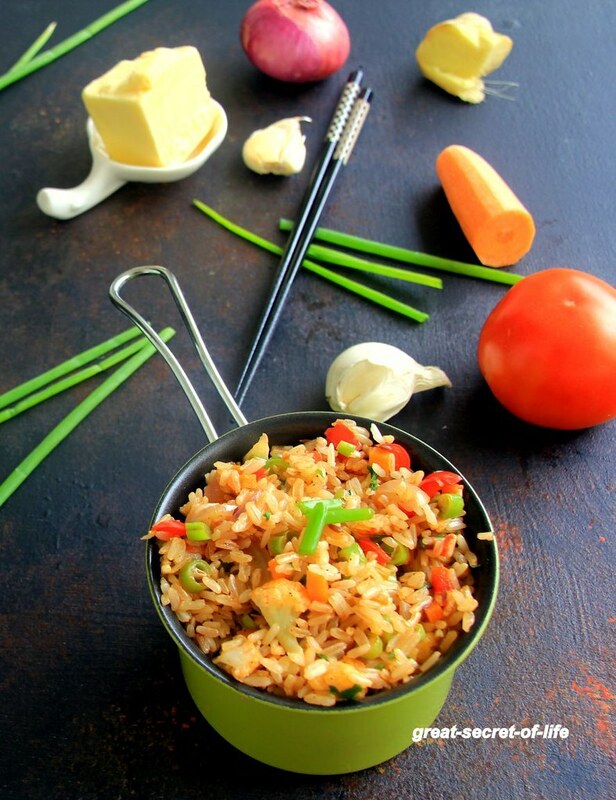 Adding tomatoes and ghee / butter a gave wonderful flavour to regular vegetable fried rice. 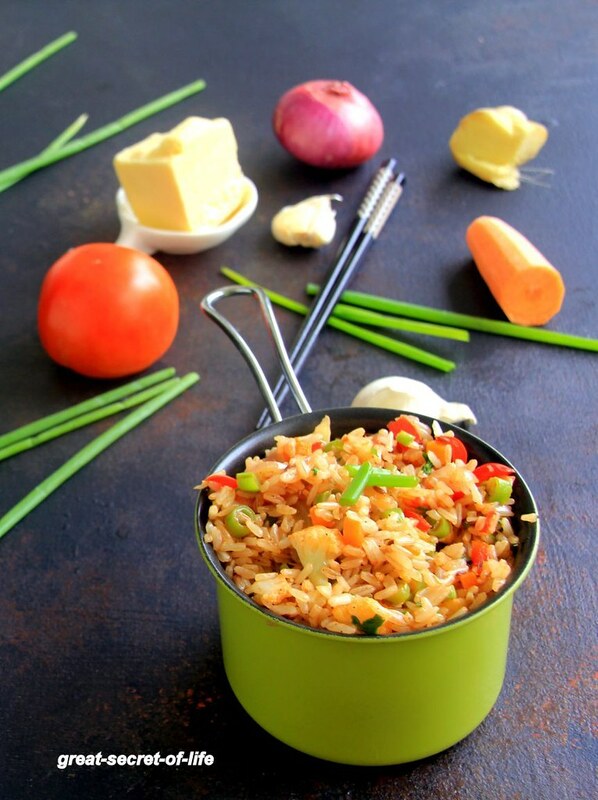 I have posted Fried rice with sambar powder. 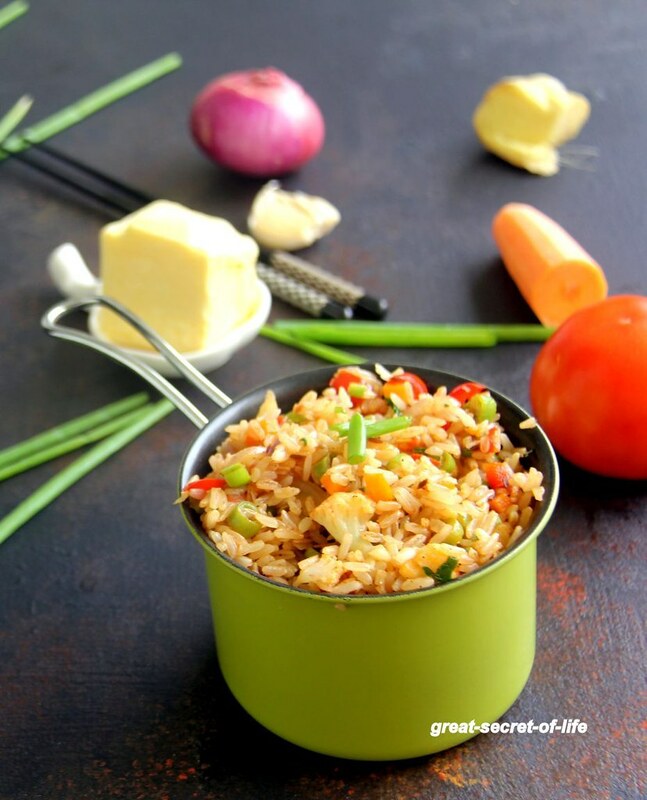 Small variation in the ingredients do give a very different flavour to the dish . Our family loved it. Heat pan with butter. add Cumin seeds and let it crackle. Add green chillies, ginger, garlic. fry till garlic is slight brown color. Add onion and fry till raw smell goes off. Add Tomaotes and salt fry for 2 mins. Add mixed vegetables (if you are adding capsicum add it at later stage). Cook the vegetable till 3/4th done.